Your room is so cute! I love how girly and chic it is. My whole house is basically salvaged from people or from dumpsters, so I don't think I will ever post a home tour - ha! I loved following along with yours, though! Your room is the cutest! Love how bright and girly it is...perfect bachelorette pad! Looks like you had a great little setup in Vermont! Can't wait to see what you do with the new place! Love your decor style! I can't wait to see your VA apartment once it's all ready! And I completely agree with your point about natural light. I'm lucky enough that all of my dorm rooms have been equipped with really nice windows (I'm an RA so I don't get to pick where I live). One thing I realized this year is that something almost as important to me as natural light in a living space is fresh air! I have an AC unit in my window this year and, while it's great to have AC, I really miss the option of opening up the window when it's nice out. Love your room! 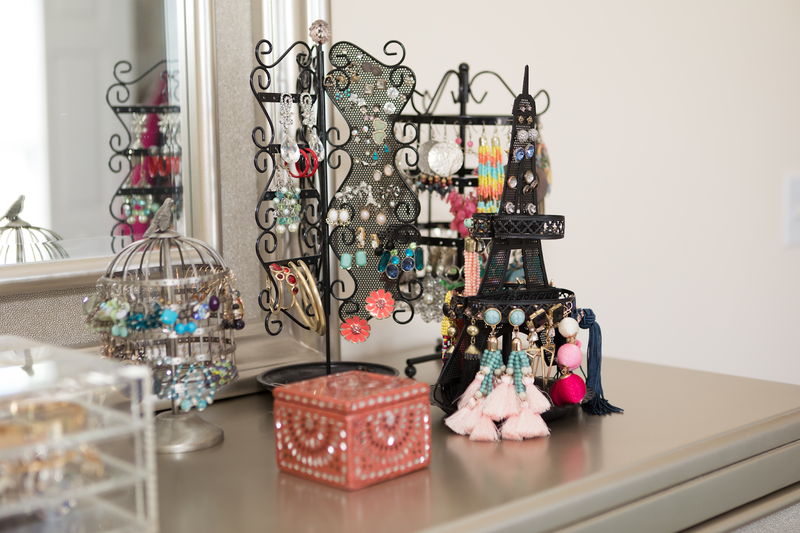 Your jewelry storage setup is adorable! Aww I love your organization system! 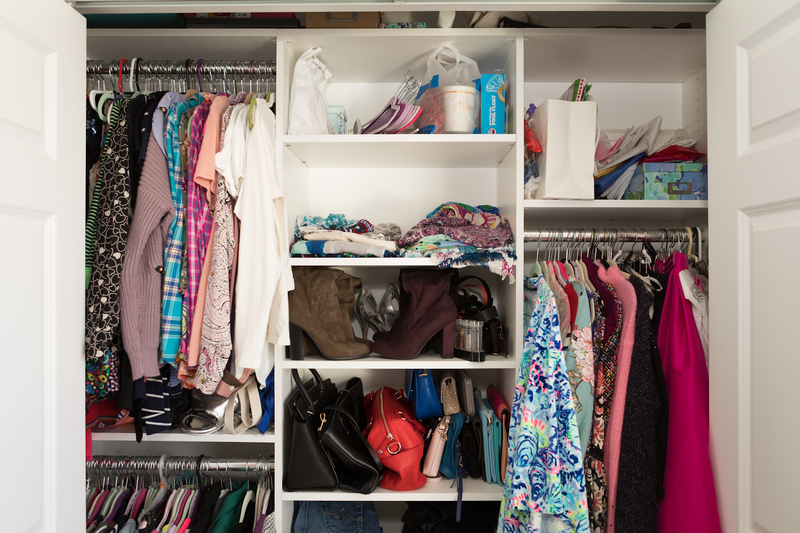 Your closet is so pretty! 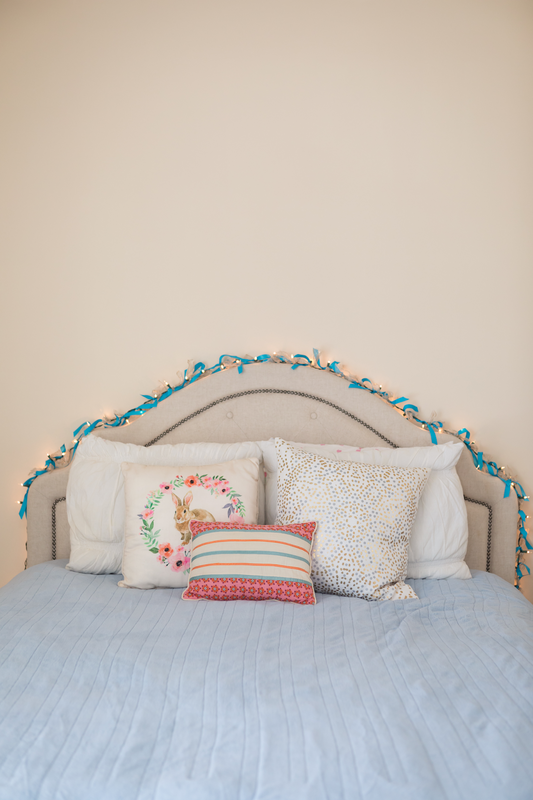 I love the garland you made for your headboard, such a cute detail! ohhhh i love what you did with it! it looks seriously so cozy, and i can't believe how organized you managed to be with such limited space! love the room! so cute and colorful! 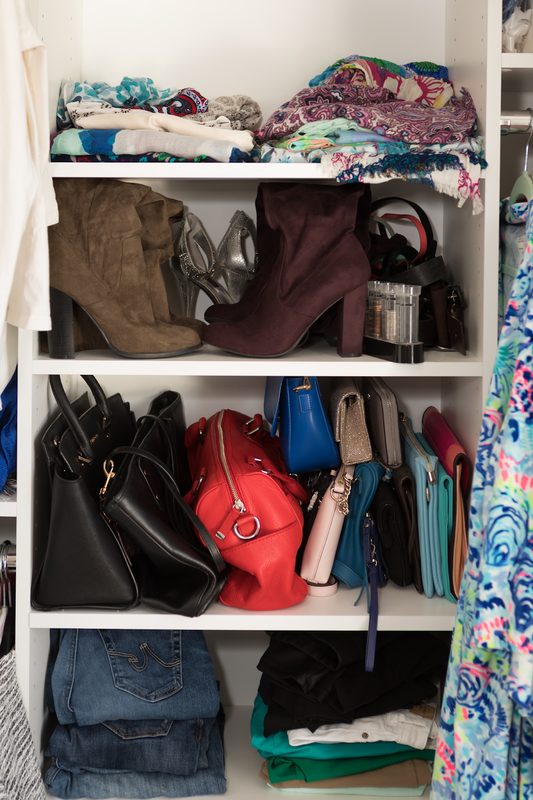 I love that the closet has purse storage; that's been my biggest struggle with my current closet. Can't wait to see your new space! Cute room! I love how organized your closet it! wow looks so colorful, cute room. Love the fairy lights on your headboard! Such a magical touch. Cute! 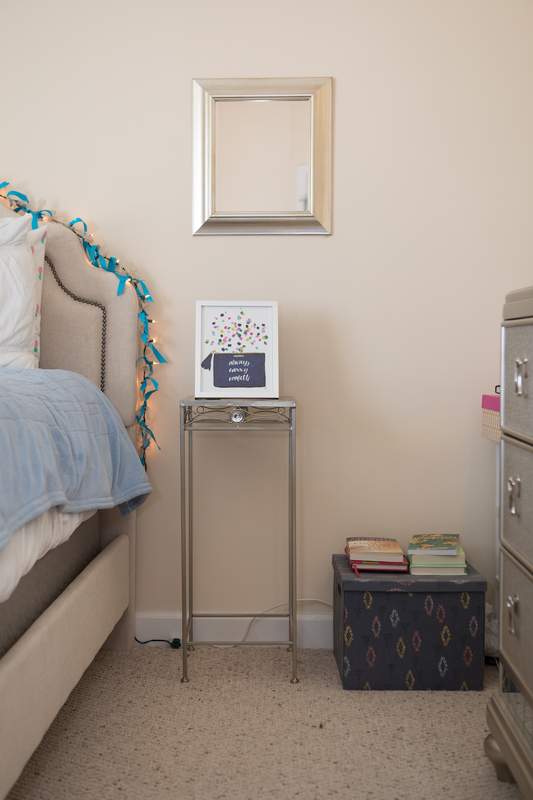 I can't wait to see how you style your new room in Virginia. I have also lived in some dark bedrooms so now natural light is my #1 priority (beating out closet space by just a sliver). I love your apartment! I especially love the decor and your choice in colors. Loving your headboard! I have one fairly similar. Natural lighting is so important to me too. Thankfully the bedrooms in my new place have three windows and the living room has like 9 haha. Such a cute room! I love how you have lots of jewelry organizers/holders. Can't wait to see your room in Virginia!